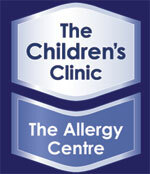 At The Childrens Clinic, Christchurch, Dr Rodney Ford will organise the HLA DQ2/DQ8 gene tests if it is appropriate. Your GP can also request this for you. The “coeliac gene” can be tested for by the blood test: HLA (DQ2/DQ8). The result is reported as either “detected” or “not detected“. This means that you/your child does have the genetic ability to develop gut damage with continued eating of gluten. However, this does not mean that you/your child has coeliac disease. In population studies, about 1 in 4 people (25%) have these genes. As coeliac disease is found in 1 in 100 people, if you carry the “coeliac gene” you have a 1-in-25 chance of getting coeliac disease. Therefore, this DQ2/DQ8 gene is only indicative of the possibility of developing coeliac disease. People with coeliac disease usually have the coeliac gene (over 98% of coeliacs carry this gene). This gene has been characterised as HLA type DQ2 or DQ8. If either of these genes are detected, then it means that you have the genetic possibility of developing coeliac disease, if you continue eating gluten. If the gene is NOT detected, that means that it is very unlikely that you would develop coeliac disease (in a group of 100 coeliacs, between 1-2% will not have the coeliac gene). However, this test does not rule out the presence of gluten sensitivity. Coeliac disease vs gluten-sensitivity. In coeliac disease, there is damage to the small bowel mucosa by the toxic inflammatory affects of gluten on the bowel. This bowel damage is associated with a high tTG antibody and high DGP antibodies. On small bowel biopsy (by endoscopy) abnormal tissue is found which is called villous atrophy. In gluten-sensitivity, there is no bowel damage. But many symptoms that can be caused by gluten. Gluten-sensitivity (the Gluten Syndrome) is not restricted to people with the coeliac gene, although it is found more often in people with a positive gene test. Value of test. The coeliac gene is a useful test to decide who should go ahead to have a small bowel biopsy. Also, to identify those people who need ongoing surveillance for developing coeliac disease. If you do have coeliac disease this means that you need to be gluten free life-long. A negative gene test does not rule out gluten sensitivity. Unfortunately, most people who are gluten-sensitive are extremely sensitive to gluten: even trace amounts of gluten causing symptoms. We hope this helps you understand the place of this “gene” test.